All our Oasis music memorabilia, all in one place. Think of it as a Champagne Supernova of Oasis collectibles. We liked Beady Eye. We’ve more than a soft spot for Noel’s High Flying Birds. But there’s no substitute for the real thing is there? So if you’re as much of an Oasis fan as we are, you’re going to love this. We’ve scoured the country to find some exclusive - and quirky - Oasis music memorabilia. Some of it is signed by Noel. Some is signed by Liam. Some is signed by both (presumably when they were talking to one another) and some are signed by various members of the extended band – Zak, Paul, Gem et al. All our unframed Oasis music memorabilia has something else in common too: it’s the small and personal – the hotel key cards collected on tour, the hotel key-cards, the lanyards and other paraphernalia that makes up a band’s life. So for signed Oasis memorabilia that brings you closer to the band, trust Sports & Music Legends. We're committed to authenticity and work hard to ensure all our music memorabilia is genuine. 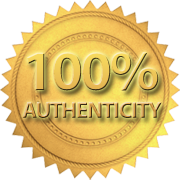 Read more about our certificate of authenticity here.